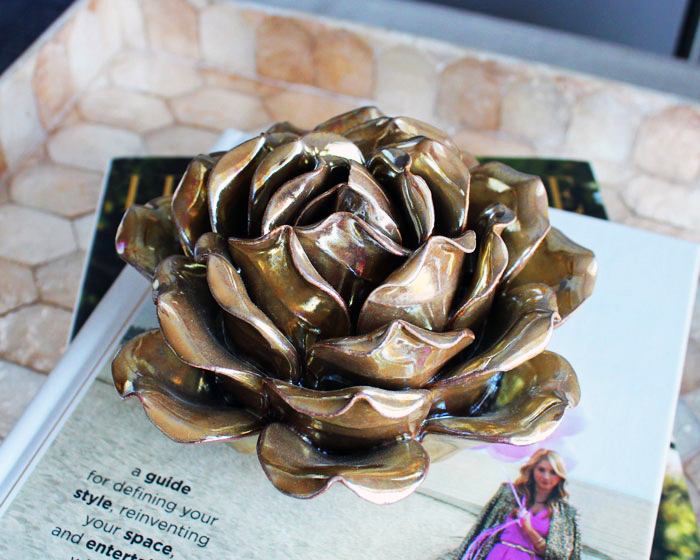 sur 2 janvier 2015 22 décembre 2018 By C. G.
Love this gold decorative rose I found at HomeSense not long ago. It’s perfect to put on top of a pile of decorative books on a side table or a bookshelf. And the price… only $9.99. Gotta love that store!